Chicken Charlie’s Year is published. Grandsons, Ethan and Seth were my models for the cover art and a few inside photos. The origins of this book began in my childhood when my father told stories of his life during the Great Depression. His stories were always funny and my sister and I always asked for more. The book is a novel though. Many of Charlie’s stories did not originate with Dad. In fact, the first one was inspired by my sister Karen. I just turned things around and inside-out to make it fit Charlie’s life. It was difficult for me to push the Publish button. I want to honor my father with this book. I hope he approves up in heaven. If you care to purchase this book or my other creations, you can find them in paperback form on Amazon.com and also in digital form for Kindle. It’s a day for family. 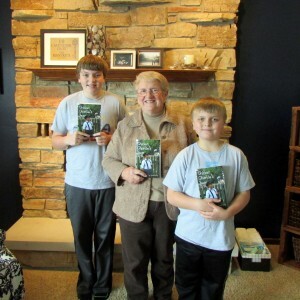 My book is about a family and a boy’s fun adventures in the Chicago area in 1933. Thanks, Dad for all the great stories.